In Small Things Remembered » Afghanistan celebrates the American Bicentennial. Afghanistan celebrates the American Bicentennial. a. Ambassador Abdullah Malikyar (left) presents a Statue of Liberty plaque to Vice President Nelson Rockefeller. b. 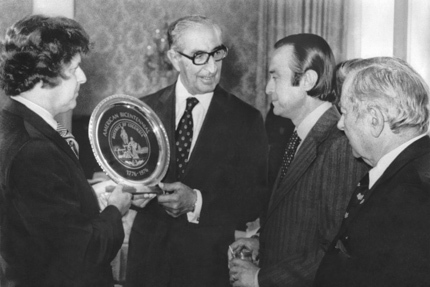 Special Envoy Mohammed Naim receives a commemorative plate. L to R: Martin Schaller, Executive Secretary to the D.C. Mayor; Naim; Samad Ghaus, Deputy Foreign Minister; Ralph Becker. 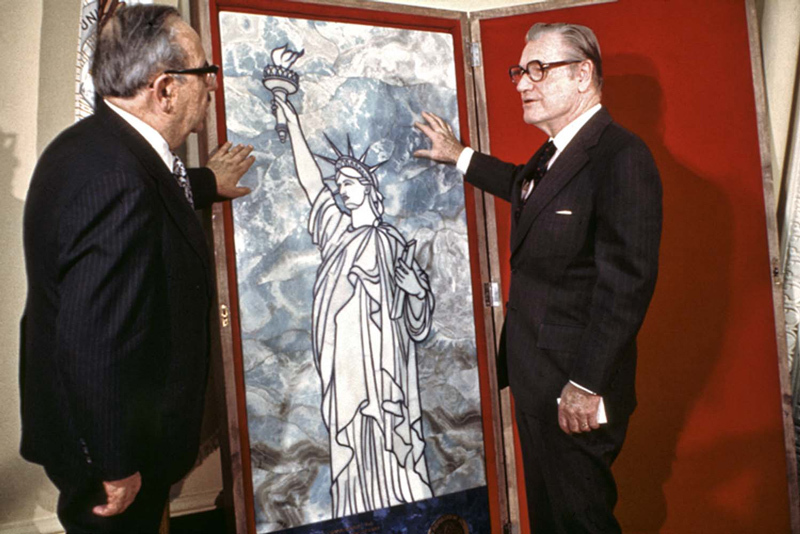 This marble, alabaster, and lapis lazuli depiction of the Statue of Liberty was created by Afghan artisans to honor the American Bicentennial. 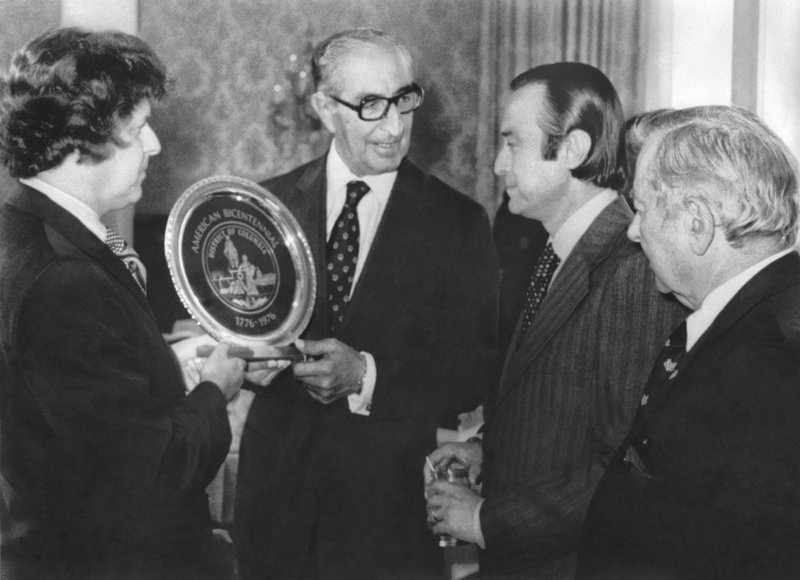 Several months earlier, a District of Columbia representative presented a 200th Anniversary plate to Special Envoy Mohammed Naim, President Daoud’s brother, during an official visit to Washington, D.C. Courtesy of the National Archives Still Picture Unit. 306-SSA-76-3312-2A-1. Courtesy of Ambassador Theodore Eliot.